What entices you to play a slot game? If amazing graphics, features, progressive jackpots, great rewards, and bonuses are part of the list, you won’t be disappointed by Fireball. Invented by Bally Technologies who hardly ever let down gambling lovers, this title is one of the best options. It is a well rewarding slot that appeals to both the beginner and experienced casino gamer. One can opt to play online from any preferred device either mobile, tablet, laptop or PC with no download required. Here are a few guidelines you need to go through before trying your luck. You can play for fun or for real money on both land casino slots or online. The slot machine has five reels and forty ways of winning. The highest bet amount is 2000 credits per payline and the highest jackpot available is 10,000 credits. It is also paired with great graphics and sound effects to keep the players entertained. The main symbols of the pokie are the number 7, frenzies, bar, dollar signs and cherries. To play one just needs to set the bet amount and click the tab spin in order for the reels to start moving. The Fireball slots is the bonus feature that will give the player a total of 8 free mini games that you can play to win. It is simply the best way to get more credits. The feature is triggered when three or more fireballs appear on any reel so cross your fingers and hope for the best. All the games have different payments compared to the normal game, a new paytable will appear to guide you through your possible wins. The wild icon is represented by the game’s logo symbol. This logo will replace any symbol on your reels if it appears on the second, third or fourth reel making sure you win. This center is the coolest feature incorporated by Bally Technologies. It enables the player to track all the past achievements and keeps the records for future use. You can also view your position among other players within the arena from the leaderboard. Special features and icons can also be accessed from this gaming centre. Players are also able to interact from any part of the world from this center. In addition to all the above-listed features, Bally Technologies created an additional feature which enables you to point out land-based casinos from within your location. So, if you are tired of playing online, this feature will come in handy. All slot games are different despite being created by similar developers. For instance, Fireball is not similar to any other game by Bally Technologies. Despite the differences, the rules of winning remain the same. The more you bet, the higher the rate of return. Learn the game first before you start betting with real money. Also, to be safe choose slot games that have a high RTP, luckily this will not be an issue as the percentage is 96%. It is available in the UK and several other countries in the world. From its inception in 2012, the game has become popular among gamers who have recorded a 75% return player rate. The reviews from the iOS application available for download are at 4.5, confirming not only is the game popular it is highly entertaining. 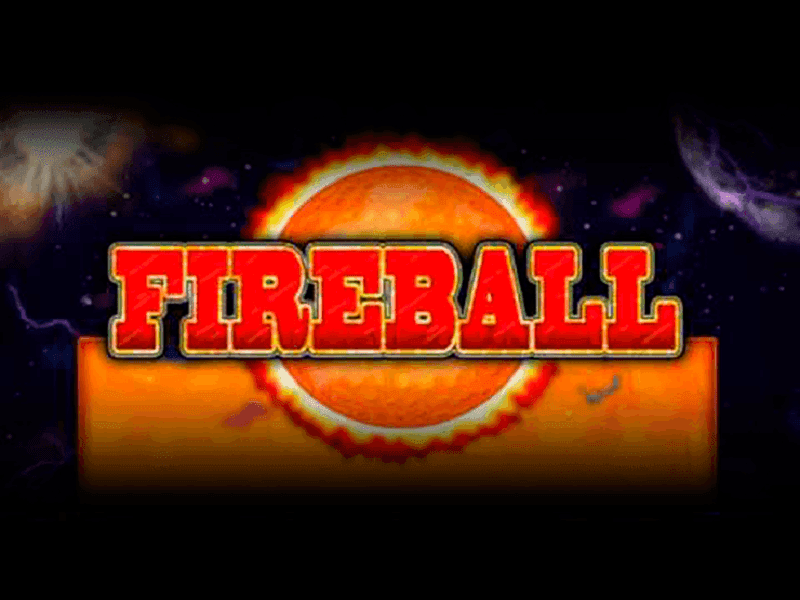 Play free Fireball casino slot machine, and you might be among the one to go home with galactic riches. 0 responses to "Fireball Slot"